The Graduate Diploma of Ornithology from Charles Sturt University caters for professional and amateur ornithologists who wish to upgrade their skills and knowledge while attaining a recognised tertiary qualification. 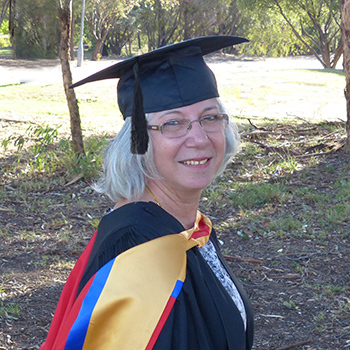 Charles Sturt University's Graduate Certificate and Graduate Diploma of Ornithology are the only specialised postgraduate ornithology courses in Australia. Gain advanced knowledge about the foraging behaviour, breeding ecology, social organisation, and movements of birds. This course focuses on Australian birds and builds on the knowledge gained in the Graduate Certificate in Ornithology. You'll study a number of specialised subjects focused on evolution, taxonomy, ecology, foraging behaviour, field survey techniques, conservation and management. This knowledge could play an important role in tackling contemporary issues associated with conservation, especially those requiring highly specialised skills. You can choose where, when and how your learning occurs. You can balance your work, life and study commitments by taking between one and four subjects each session, swapping study modes or, with permission, varying your study pattern to suit your needs. As a graduate of Charles Sturt University's Graduate Diploma of Ornithology, you'll have a wide range of career possibilities. You could work as an ecologist, wildlife biologist, protected area manager, environmental educator, researcher or sustainable tourism or adventure tour leader. Roles could also be available in government agencies or non-profit organisations. Or you could work as an ecological consultant.